Three years ago to the day (April 2nd 2016) a gathering of Forest supporters met at the Orange Tree pub on Shakespeare Street to mark 150 years of Nottingham Forest. This was followed by a mass walk to the City Ground from the Brian Clough statue. 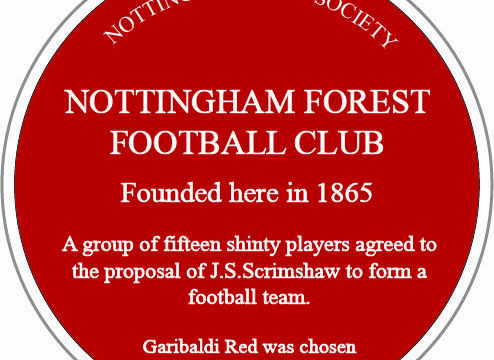 A small band of us had previously decided that the previous ownership was failing in its attempts to mark 150 years of Nottingham Forest and so took matters into our own hands. In many ways it was the start of a various fan-led endeavours amongst the NFFC support. For those who may not be aware the Orange Tree was formerly known as the Clinton Arms and it was in that building where NFFC came into existence in 1865. A group of fifteen individuals who played a game known as shinty (similar to hockey) met to discuss J.S Scrimshaw’s proposal to form a football team. It is thought that at the same meeting the subject of a club colour was raised. The fifteen chose red in honour of the Italian Giuseppe Garibaldi who commanded an army of Red Shirts in a revolution across Italy. Garibaldi had visited Nottingham in the years previous and he proved to be a popular figure with local residents and many across the country. At the time of the 150th celebration we requested permission from the venue owners to install a plaque on the building to commemorate this meeting at the Clinton Arms. Sadly our request was denied by the management. We were therefore interested to see an article in the Nottingham Post last year which mentioned the Orange Tree was under new ownership. With much help from Vaughen Crompton at the City Council we lodged another request and were delighted to be informed only last week that both the Orange Tree and the Nottingham Civic Society would support it. This project also has the backing of Nottingham Forest Chairman, Nicholas Randall QC and the wider board of directors. We are now pushing on with a draft design (pictured) and will be meeting with both the Orange Tree and the Civic Society in the near future. A primary aim is to raise the money to have the plaque manufactured and installed. We are informed that £400 is a likely cost and we are hoping to raise this sum with the help of our fellow fans. This plaque will have far greater meaning and significance if it is funded by the supporters. For those who donate it will also hopefully bring a sense of satisfaction to know that you helped make it happen. We would be delighted if you could spare us anything towards our target. We are hoping you will all sure our view that it is important to recognise the Clinton Arms / Orange Tree as a building of historic value to anyone who holds Nottingham Forest close to their heart. 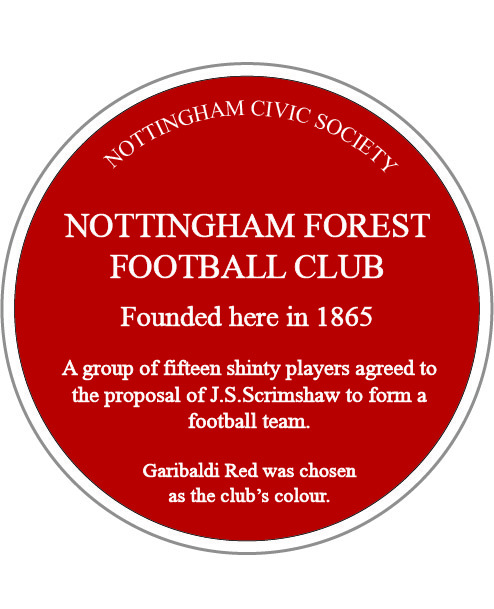 A plaque would also serve to educate many in the city and those who visit about the club and its origins while also paying tribute to those fifteen men and others who played a part in establishing NFFC. Alternatively if you would like to contribute via other means including cash then please contact us via social media or at ForzaGaribaldi@hotmail.com. We have added a little more than the stated £400 as our target to cover any misc costs and also any fees incurred through the fundraising target. Thank you in advance. We do not yet have the timescales of when the plaque will be installed or unveiled but we hope to confirm that in the coming weeks. We will communicate further when we have more news.